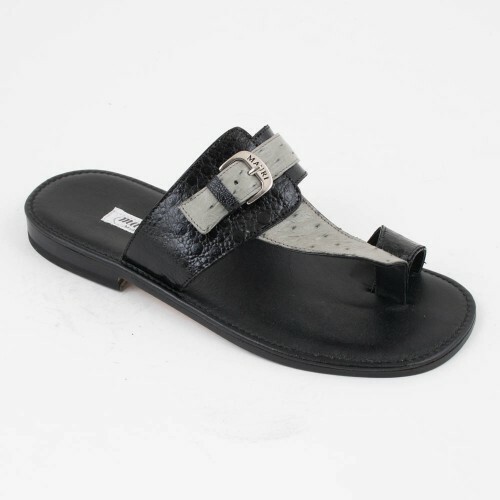 Elegant Frog & Ostrich skin leather sandal designed by Mauri. 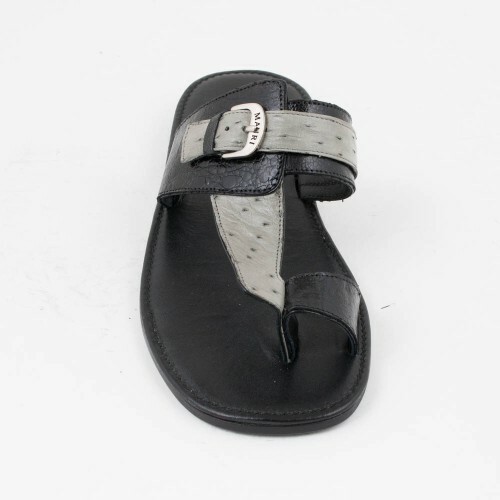 Leather upper; leather lining; synthetic sole. Made in Italy.